The smartPower 250 line provides dual 2.7 amp power and charging as panel mounted, remote mounted, or smartPanel mounted units to provide reliable power for most consumer products and iPads/iPhones with USB charge capabilities. 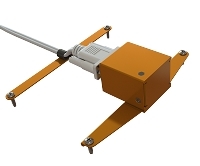 All smartPower 250 products convert any voltage on aircraft electrical systems (12v and 24v included) down to 5 VDC (12 watt) to simultaneously provide two 2.7 amp USB connections. 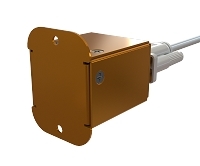 The smartPower 250-101 Panel Mounted USB Power Supply provides two USB-A ports in the panel and can be configured with a round faceplate style that fits all standard openings for 12v cigarette lighter socket panel cuts, or a square faceplate for custom installations. The USB-A ports are illuminated with a green LED backlight for ease of use at night. 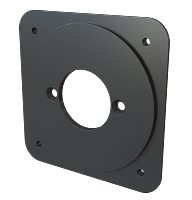 An adapter plate to install a round USB port in a 2.25" instrument position is also available. The smartPower 250-201 Remote Mounted USB Power Supply provides two 2.7 amp connections where a hard-wired Lightning or Micro USB cable can be soldered in through the 15-pin D-Sub connection in the back. This style of power supply can be used to hard-wire USB powered devices that you wish to remain inside the aircraft at all times. The smartPower 250-301 Remote Mounted USB Power Supply is specially designed to mount on the back of a smartPanel iPad dock and can power two docks at the same time. The smartPower 250 units feature a SmartCharger feedback loop to keep the 2.7 amp current stable for each port at all times and only provide the amperage as requested by the product being charged to reduce the risk of overcharging or overheating. The units are also EMI shielded to prevent radio noise when charging. Why choose the USB Power 250? The Dual 2.7 amp power will reliably charge even the largest tablets and components including the 12.9-inch iPad Pro and popular GPS/ADS-B In products! The optional 0.9" round faceplate exactly matches the panel cut for standard cigarette lighters - just remove the socket, drill two added screw holes, and wire up the smartPower 250 and you are done! Less labor makes these units an even greater value. All smartPower 250 products are Electromagnetically (EM) shielded to prevent static and noise on your VHF radio when charging - this is a common problem with most non-aviation USB chargers on the market. The smartPower 250 can accept ANY aircraft voltage from 9 volts to 48 volts DC power... including common 12 volt, 14 volt, and 24 volt DC systems found on most aircraft. One product does it all! It's the best priced Dual USB power supply for certified aircraft on the market! All smartPower 250 Power Supplies from Guardian Avionics are approved for installation in certified aircraft and rotorcraft under 14 CFR Part 23, 27 and 29 as "Non-Required Safety Enhancing Equipment" (NORSEE) as outlined in FAA memorandum number PS-AIR-21.8-1602. Power supplies and mounts may be installed as a minor alteration. Please refer to this link for the Guardian Avionics NORSEE Letter of Authorization.